You have less than an hour left to try to get your hands on the latest viral dessert created by the James Beard Award winner Dominique Ansel. Ansel has been giving away free Nutella-filled Cronut holes today to celebrate Nutella’s 50th anniversary. When he announced this plan last week, the Internet’s collective head exploded. People have probably spent a combined 50,000 hours waiting in line to get Cronuts since they were launched last year and if the lines for Eataly’s Nutella bar are any indication, they spend a similar amount of time waiting for hazelnut spread. 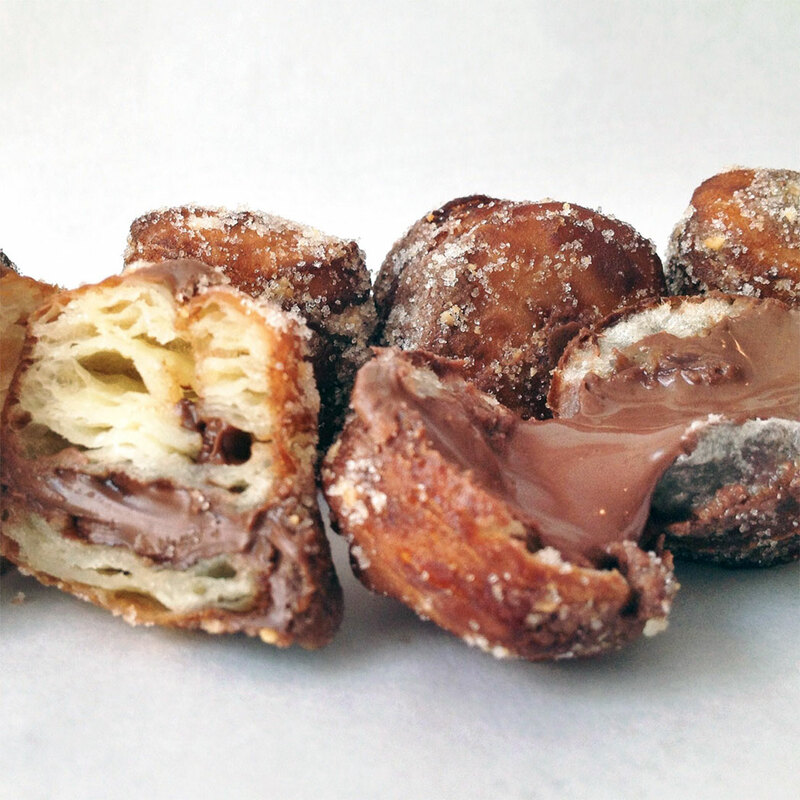 So unsurprisingly, Cronuts and Nutella, with their powers combined, created a little bit of insanity today in New York’s Madison Square Park. Before the giveaway began the line already ran 200 people deep. The only thing that is surprising is that no one has posted a Nutella Cronut hole on Craigslist for $80 yet. But there’s time for that, people. We’re standing by to shame whoever tries to make a quick buck off the generosity of the man who would bring us free Nutella Cronut holes.